Our practice provides a full range of dental healthcare services from routine dental care through to advanced restorative treatments such as implants and cosmetic dentistry. We have a special interest in treating nervous and anxious patients,offering a friendly relaxed calm environment and dental sedation where required. We aim to provide as wide a range of treatments as possible at the practice and where we do not offer a treatment such as specialist orthodontics we will arrange a prompt referral. If you have any questions about your own need for treatment or a specific aspect of our service, please call the dental practice or email us. Details of various services are provided on other parts of the site. 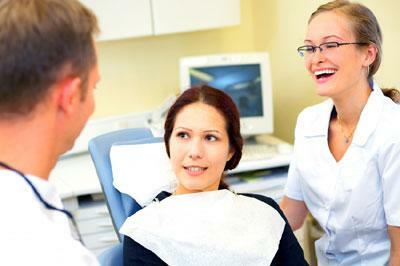 We offer all aspects of general dentistry providing a full service for all the family requiring regular routine care. We provide a full range of crown and bridge treatments, veneers, root canal treatment, periodontal treatment and preventative care. A full range of advanced restorative treatment is provided. With dental implants becoming an increasingly used solution to missing teeth we are able to offer a full implant service with placement and restoration of dental implants at the practice. See our Dental Implants web page. Occlusal (bite) problems can give rise to a number of symptoms from broken restorations through to headaches. Occlusal examination is carried out on all patients and treatment offered as required. We offer a range of splints including Michigan and NTi splints. For patients nervous about dental treatment or those undergoing a more complex procedure intravenous sedation offers an effective method for providing relaxation for the procedure. So if you are nervous about treatment don't let that put you off. At an initial consultation we can discuss all the options for your treatment including the use of intravenous sedation. See our Dental Sedation web page. Unfortunately dental disease can start early in life. The good news it is preventable. We aim to lay the foundations in childhood for a life free from dental disease.